­­­NHPC -DMP has been implementing such Schemes of Clean Roing Green Roing for the last many years based on Govt. of India illustrious scheme of Swaach Bharat Abhiyan. Speaking on the occasion, Dr. Avinash Kumar, Dy. General Manager (Env. ), NHPC underlined the responsibilities of Corporate Sectors towards upliftment and development of the society and particularly regarding cleanliness and hygiene of the adjacent areas. He emphasized that Corporate Social Responsibility is not charity, it is a collaboration between the Corporate Sector and the Society and the survival of the both depends on each other. He further assured full cooperation of NHPC towards keeping Lower Dibang Valley Clean & Green. Headmaster of Govt. Sec. School, Bizari appreciated the efforts undertaken by NHPC through CSR&SD schemes and thanked NHPC for their support and Cooperation. Bengia Nyer, Sr. Manager (Civil) and Mobom Riba, Assistant Engineer (Civil) from NHPC were also present of the occasion. In an another programme NHPC Dibang Multipurpose Project organised training programmes for Farmers for doubling their income by adopting correct procedure of farming methods. The training programmes were conducted at Bizari on 8th February, 2019 and on 9th February, 2019 at Mobang, in association with the Department of Agriculture, Govt. of Arunachal Pradesh, Roing. A total 153 nos. of farmers participated in both the programmes. Officials from the Department of Agriculture and 3F Oil Palm Agro Tech. Pvt. Limited, Roing imparted training to the farmers. The farmers were given training on various modern farming practices for doubling their income. They were enlightened on the prospects of Oil Palm cultivation in the district, its sustainability and long term fixed returns, thus providing job security and financial stability to the community. The details on subsidy being provided by the Govt. on various cultivation were also explained to the farmers. 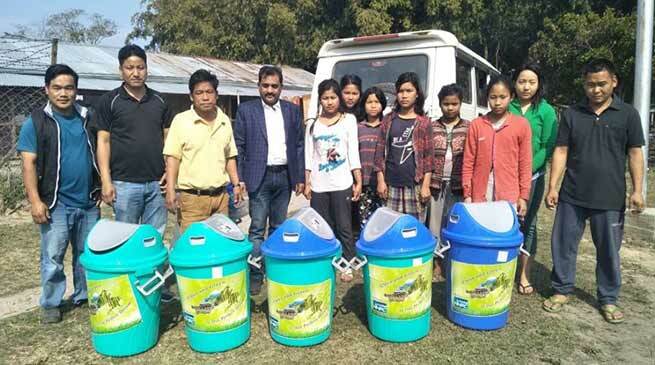 The farmers were also trained on Vermicompost Production techniques, Mushroom cultivation packages, Organic farming, crop intensification on Paddy & Maize cultivation and Scientific Nutrient and Disease Management on Khasi Mandarin. Such kind of training will go a long way in empowering the farmers and their livelihood.